Theatre at UBC Blog » Blog Archive » IMAGINE DAY: Speed Dating! 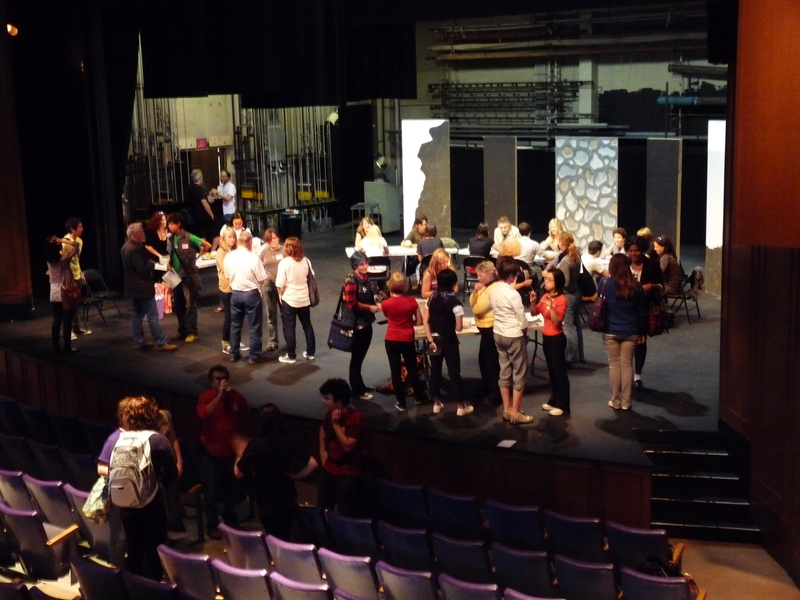 Speed Dating: Imagine your Theatre & Film Major! 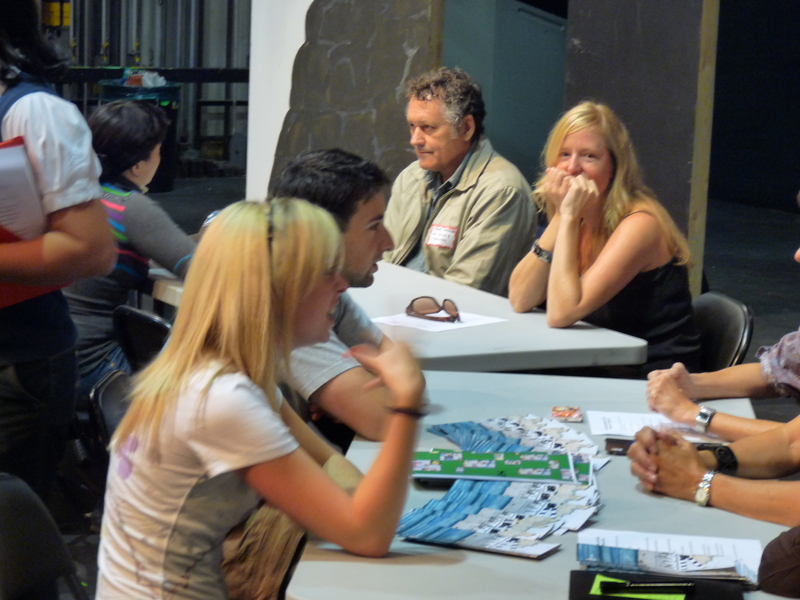 Ask not for whom the bell tolls – it tolls for you at the Department of Theatre & Film’s Speed Dating advising event! On behalf of the UBC Department of Theatre & Film I dreamed up an Imagine Day event called “SPEED DATING: Imagine your Theatre and Film Major”. A lot can, and did happen in 5 minutes. 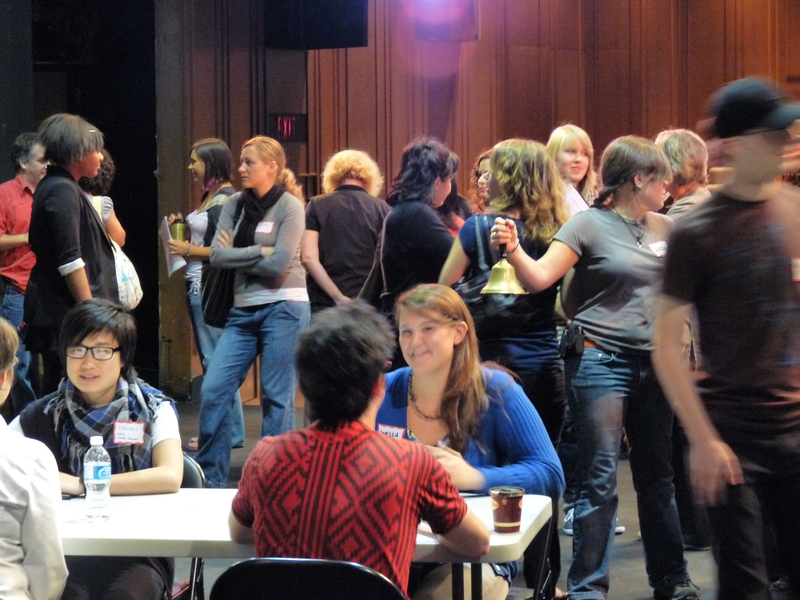 Students signed up for 4 rounds of 5 minute “speed dating” style mini advising sessions, held with 6 different representatives of the UBC Department of Theatre and Film. Theatre at UBC’s Player’s Club representatives Brendan Albano and Amanda Konkin were on hand posting auditions for their upcoming show and spreading the Player’s Club love. Established by UBC students along with Professor Frederic Wood in 1915, the club is UBC’s very first student club and it’s open to all students at UBC. Huge kudos for bringing the day “Imagined” to life, particularly to Jenn Suratos our hostess with the mostest, 4th year MFA Design candidate Maria Fumano who rang our bell and finally our magnificent faculty, staff and students. UBC’s Imagine Day is a new Student Services initiative designed to help students understand all the opportunities for learning within each department. Everyone knows the Department of Theatre & Film host the best parties and here’s documented proof – see more photos on our Flickr site. Welcome back everybody, I look forward to all the exciting work that will unfold during our new 2009/10 theatre season! This entry was posted on Thursday, September 10th, 2009 at 9:38 am	and is filed under Education, theatre at UBC, UBC Student Services.